Architectural services vary from project to project based on the architectural problem as perceived by the client, and the interpretation of the problem by the architect. No two clients are the same and no two clients pose the same architectural problem. A project may have a special history, unusual conditions, unique goals, different desires, lifestyles, budget, or other requirements. Most building projects start with a want or a need. That want/need then needs to get translated into square feet and three dimensional space. Proper judgment, technical expertise, experience, and creative skill provide the transformation from the practical need to beyond expectation of the built form. My experience extends over 27 years of residential design. Over that 27+ years my projects have ranged from simple detached garages to much enriched custom homes. My extensive building science knowledge has led me to design some of the most sophisticated residential building assemblies in use today. My portfolio is composed of projects that represent a diverse group of architectural styles and innovative solutions of varying scale and budget. Although some of my projects have similar characteristics, I have no preconceived style for a project. The diversity of design allows for a design solution customized for each of my clients. My clients benefit from my personal involvement throughout the entire process. My personal involvement coupled with my client’s interaction at almost every step of the process provides a collaborative solution everyone understands, accepts, and feels personally responsible for. The design process begins with the both the client and the architect identifying the scope of the project. The scope typically includes the size of the project, the construction budget and schedule, the design budget and schedule, programming requirements, zoning requirements, client likes, client dislikes, and ideas. As the design process proceeds, priorities will be clarified, new possibilities will develop, and the final design will emerge. Programming is more than simply applying a relative square footage to a space. It is understanding the use and quality that the space can contribute to the project as a whole. During the design process, the concept of programming is heavily scrutinized. Because of my building science background, I consistently maintain a series of performance filters to ensure for successful integration of sound building science principles knitted within the design. In the case of new construction, the site investigation provides the architect and the client the opportunity to discuss concepts such as potential views to and from the building, access to and from the building, the building’s orientation, the site’s topography, neighborhood sensitivities, solar orientation, and any other programming requirements as they relate to the site. New construction also allows for us to determine the level of energy efficiency, comfort, health, and durability we will strive for. Although many of these decisions are battered back and forth through the design process to establish the final fit, it is good to step off with some understanding of what is possible and where we would like to end up. My extensive experience across the spectrum of energy efficiency and durability allows me to provide my clients conversations and decisions that can be made in confidence. 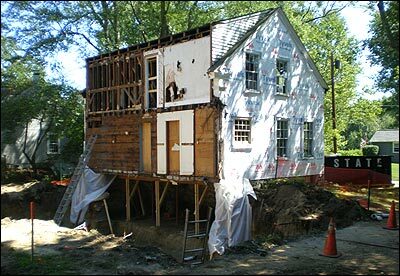 In the case of renovations and or additions to existing structures, the above concerns would also apply. In addition, investigation of the existing building would be documented. Documentation would include measurements of existing conditions, and photo documentation of existing conditions. Client’s likes and dislikes of the existing conditions are also noted. The measurements obtained during the initial investigation are documented to scale as building plans, elevations, and sections using the latest computer technology. These drawings will become a valuable reference during the design process, as well as the base of the contract documents used to obtain a building permit. The architectural design process will bring an increased client understanding of the project. Each step of the process will be used to assure the continuing consensus on project scope, levels of quality, construction cost, and budget. During the design process these drawings are constantly referenced to ensure alignment of the new design. It is important to understand that while drawings, models, and sketches are being produced, the architect is providing a service, not a product. In Schematic Design, the architect provides the client with various preliminary design solutions. The design solutions are illustrated as a series of sketches showing different conceptual approaches. The architect’s extensive study of design alternatives (some of which you may not have considered) allows you to choose the design most appropriate to your needs. The solutions are then scrutinized by both the architect and the client. Likes and dislikes are discussed and a potential solution(s) evolve for further development. It is important to be flexible about achieving the design solution. The best solution is arrived at through the design process of sketches, discussions, revisions, all of which take time. No successful architectural solution is an accident. The design aesthetic of the project is perhaps the most obvious area in which the architect makes a unique and valuable contribution, creating a visually appealing place with pleasing character and style. Increased property value will be realized through appropriate design, improved functionality, and quality detailing. In Design Development the accepted preliminary design solution is further developed incorporating the result of the discussions in the Schematic Design phase. Concepts such as material distinction, dimensional adequacy, and appropriate technology emerge as vital characteristics of the project. During this phase of the design process, the development of total environments is ensured. Interiors and exteriors are coordinated for relative levels of design quality, in addition, area of old construction and new construction are also coordinated for relative levels of design quality. Architects add value at every stage of the project, from initial conceptual design, through construction completion. When the contract document phase is reached, it is understood by all parties that an acceptable design solution has been reached and has been approved by the client. The contract documents consist of plans, elevations, sections, and details the prescribe the requirements for structural stability, climate control, drainage, water management, durability, and electrical distribution etc. Thorough construction drawings make it easier for the builder to accurately price and construct your project. In addition to the development of the contract documents for the purpose of obtaining a building permit, they also become the basis for the construction contract between the builder and the client. During the Bidding and Negotiation phase, the architect offers assistance to the client in obtaining a contractor and a respective contract. In some cases, value engineering offered by the contractor is reviewed for possible implementation to the project. In many projects, a desired contractor becomes involved earlier and the bidding process is not needed. In the Design – Build method, the architect and the construction team are involved in the project from the outset. This method gives the client more control and more options. Project requirements and cost alternatives are discussed early in the process. 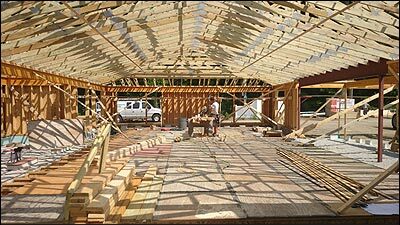 In most cases, the efficiency of the Design – Build process constitutes a shorter overall project schedule. During the Construction Administration Phase the project’s construction would include periodic site visits. The visits typically ensure the project’s compliance to the construction documents and design expectations (not an inspection or supervision). In addition, this phase allows the architect to assist the client in final decisions, changes, or alterations that would contribute to the success of the project. I have designed numerous Certified Passive Homes (most stringent set of building performance standards in the country) in the country to include the First Certified Passive House Retrofit to an existing home in the country. Working with me allows you the confidence of knowing I have the answer to the question what’s next? Even if I don’t I have the experience to develop the answer with you. I have an unrivaled passion for what I do. It is not what I do but rather who I am.